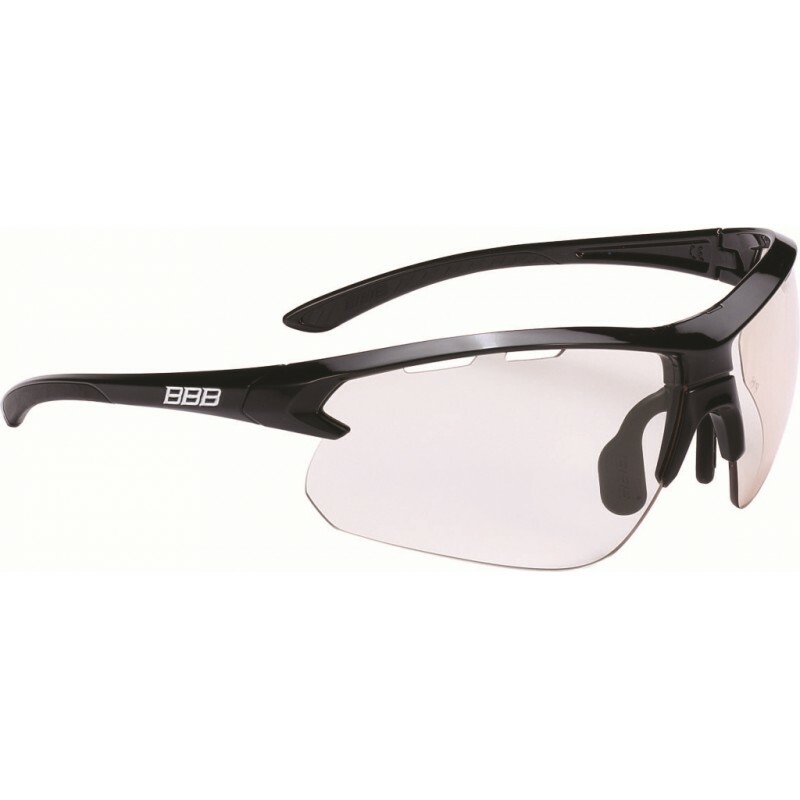 Sport glasses with photochromic lenses and special “quick-snap” system which allows you to change the lenses easily. These photochromic lenses have a light transmission of 85-17%. I wore these glasses last week on the South Downs Way, We had sun and rain over the 4 days, they were very comfortable and a good field of vision. The photochromic function worked very will. I did wear them at night and again they worked well, I did have to remove them at times to get a better vision down the very narrow tracks. The holes in the glasses work well to clear the mist up when you`re stopped for some time. Overall very good pair of glasses and I would highly recommend them.